Wash and soak basmati rice for atleast 30 minutes. Clean and wash the chicken well . Marinate the washed chicken with turmeric powder(1/4 tsp) ,salt and chilly powder(1 tsp). In a vessel add ghee and oil,when the ghee melts add cardamom ,cinnamon and cloves. Let it splutter well,then add onions and ginger garlic paste. Now add tomato cook well until the tomato become mashy. 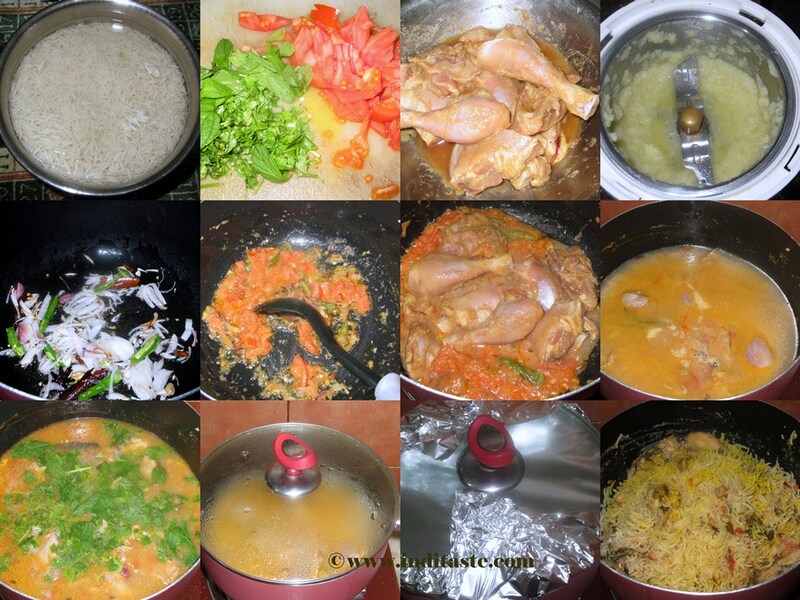 Saute it for 2 minutes,add 4cups of water cook the chicken well until tender. Now add the rice,coriander leaves and mint leaves,chilly powder and salt give a gentle stir. Cover the vessel with lid. Put on low flame for 10 mintues. 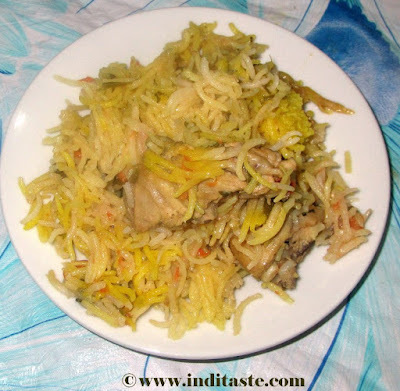 Now the biriyani is ready. 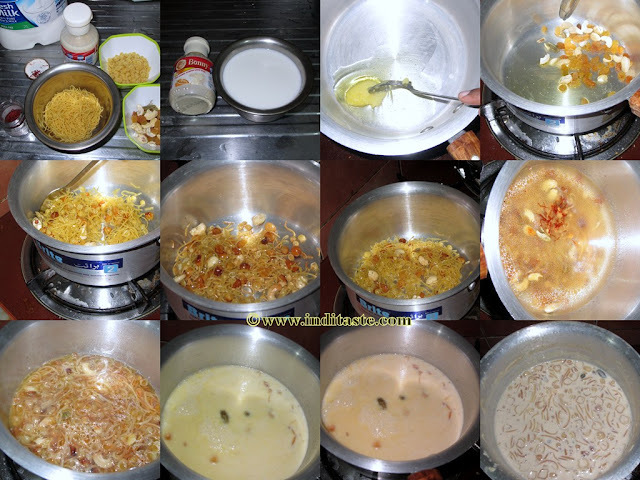 In a pan add ghee,when the ghee become hot add raisins and cashews. Fry it well until it become golden color. Now add the macaroni fry well in the ghee. When the macaroni color changed add the water,cook until the macaroni is half done. 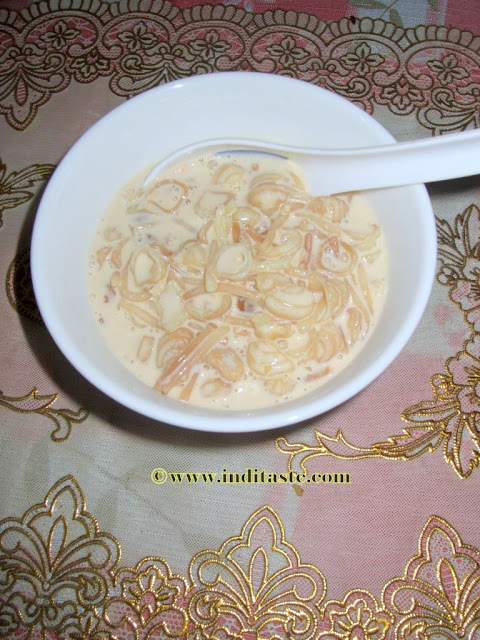 Now add the milk ,evaporated milk ,condensed milk,saffron ,cardamom mix it well. 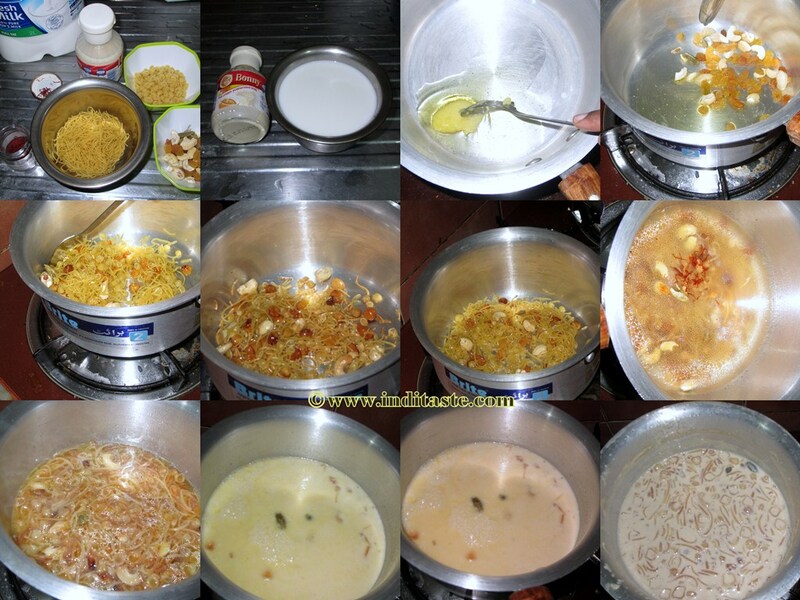 Cook until the macaroni become soft and the mixture of payasam thickened well.